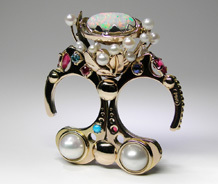 14k gold, 925 silver, moonstone, diamonds, ruby. 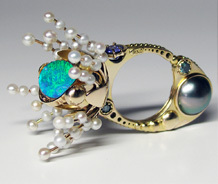 14k gold, opal, tanzanite, blue diamonds, pearls. 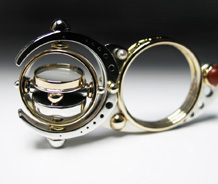 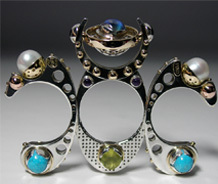 14k gold, 925 silver, mirror, carnelians, pearls. 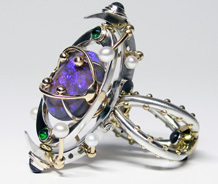 925 silver, 14k gold, moonstone, pearls, turquoise, phrenite, amethyst. 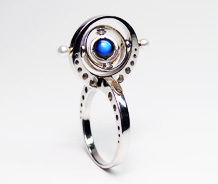 14k gold, 925 silver, moonstone, pearls. 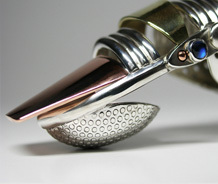 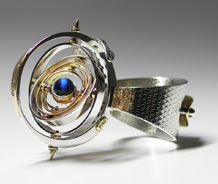 Available at the Aaron Faber Gallery, 666 Fifth Avenue, New York, Exhibition: May 1-26 | Opening May 3rd, 2012.